Winter Music Conference is well underway and everywhere you go you’ll catch up with DJs big and small tearing it up at pool parties, nightclubs, hotels, and in every bar. 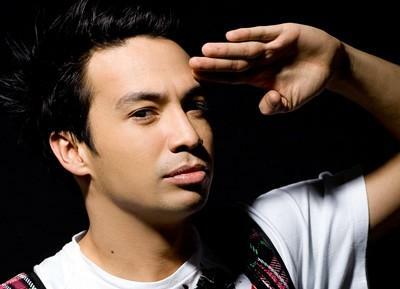 I caught up with Nervous Records Artist DJ Laidback Luke before he made his way to Miami and here is what he had to say. Q: So how did it all begin? What gave you that initial push to get in to the DJ scene? A: I started out as a producer the thing was I come from a musical family and everyone in the family could play the instrument better then I could so at 15 years old I found out I could actually make music with a computer so I could finally unleash all the music that was stuck in my head. Basically when I found out I could make music with a computer I knew this is what I wanted to do for the rest of my life and from there I got in to Dj-ing because as a producer I wanted to know what the Djs would need from me, how I would need to make my tracks to work best for them and I found Djing was very addictive and I never gave up on it. Q: What influences you when you are in the studio when you are producing? A: Well basically, I always get influenced by everything around me, really because the tracks I play, the clubs I go to, the tweets of fellow DJs, the tweets of the people who follow me- I just get inspired very quickly. It’s very rare I ever go to the studio without any inspiration. Q: What’s the most memorable you’ve played at/put on? Q: What’s you favorite track out right now? Q: How does it feel to make it on to DJ Mag’s Top 100 list? A: For me personally I don’t really look much at the list, it’s not about being the DJ president of the world, it’s about going to a club and blowing the roof off. Every single gig, I just try and do my best, the thing is, whenever I perform, I always imagine this will be my last performance ever so I always give it my best. The only thing I thought was really cool about the list was that I could finally to show my family that I was in the top 20 of the world and finally they got like “Ohh his job is pretty serious now”. Q: When you play is this pre-planned set or do you like to feel the crowd? A: Yea, no all my sets are just pure improvisation, basically on the second even. Sometimes people come up to me before I need to go on and ask me “What’s your first track going to be?” and I haven’t got a clue, I usually only decide a minute before I go on what my first track is going to be and then after that I’ll decide on the split second what I want to drop. You, know it keeps it very fun for me as well and every set will be different in that way. Q: What can we expect from you at WMC 2012? A: We presented “Speak Up” at last years conference as the new track like a teaser and it took us a while to actually put it out and I am finally happy it’s here and just in time for conference. I am going bring a couple of new tracks and collaborations that I am going to test out. I mean the coming year is looking amazing my two events are already sold out the “Super Me & You” at LIV and the “Mix Mash” Pool Party at the National have been sold out for weeks, it’s looking very exciting. Q: When you’re not at a gig this year at conference what DJ are you looking forward to scoping out? A: Good question, I think I usually pre-plan that, and this year I’ll just go with the flow. I mean there are so many DJs out there and so many parties, I’ll definitely walk around and hook up with people. Its always good to come uninvited and surprise fellow DJs. It’s not every often that we get to check each other out because we are so busy and Miami is a good place to do that. Q: When all the partying is over how do you like to chill out? A: That’s a really good question, but you know what I like to do each night before I go to bed, I like to watch an episode of Family Guy on my phone. Q: Any shout out or anything you’d like to share with the readers?